St. Louis Union Station combines historic elegance with modern and stunning detail. In addition to state-of-the-art meeting and convention space, Union Station is a top-tier, family-friendly destination with many unforgettable family attractions. 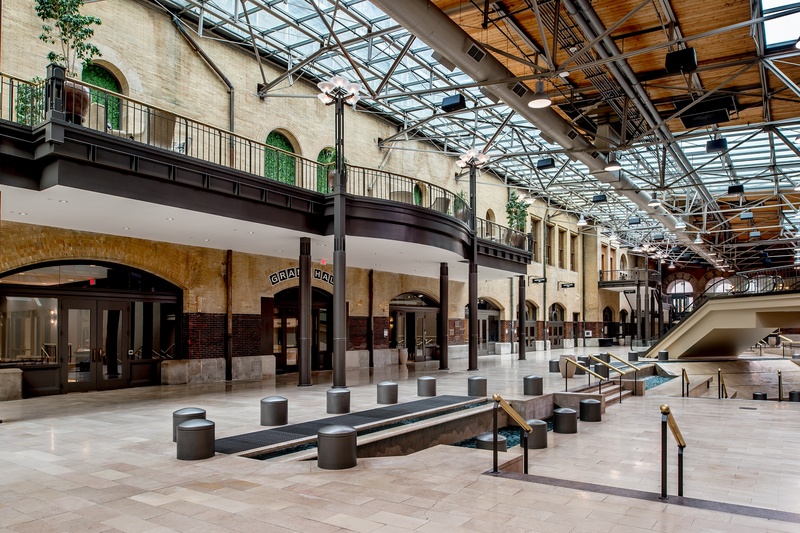 All class sessions will take place inside Union Station, so you will never have to leave this amazing venue unless you want to – but since Union Station is conveniently located in Downtown St. Louis, there are plenty of adventures to be had right outside the front door! In order to accommodate our attendees, we have secured room blocks at two premier hotels in St. Louis: St. Louis Union Station Hotel and Hilton at the Ballpark. Complimentary shuttles will run back and forth between the two properties, so you can always hop aboard if you don’t feel like walking from one hotel to the other. The historic St. Louis Union Station Hotel is a AAA-approved Four Diamond hotel known for its refined and stylish upscale attributes, extensive amenities and a high degree of hospitality, service and attention to detail. St. Louis Union Station Hotel is a member of Historic Hotels of America®, the official program of the National Trust for Historic Preservation for recognizing and celebrating the finest historic hotels across America. St. Louis Union Station Hotel is offering a discounted room rate for conference attendees of only $169+ tax (per night) for a standard room. Please reserve your room online by clicking here or mentioning “The Conference” when reserving your room via phone. If looking out your window and having a straight view into Busch Stadium – home of the St. Louis Cardinals – or being eye-to-eye with the St. Louis Arch appeals to you, then a stay at St. Louis Hilton at the Ballpark is perfect for you! This modern downtown hotel is in the heart of many popular St. Louis attractions, and is also home to the famous 360 Rooftop Bar, one of the most dynamic locations in St. Louis. 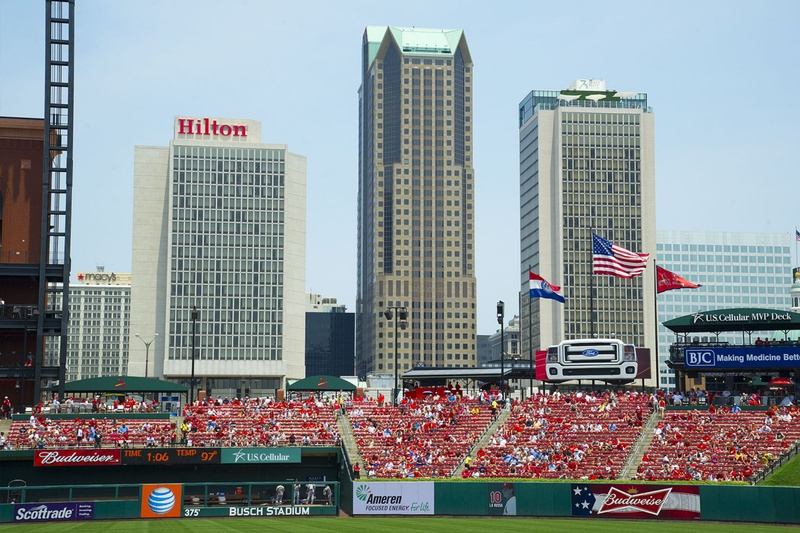 St. Louis Hilton at the Ballpark is offering a discounted room rate for conference attendees of only $165+ tax (per night) for a standard room. Please reserve your room online by clicking here or mentioning “The Conference” when reserving your room via phone. Note: A complimentary shuttle will be provided to transport attendees who choose to stay at this hip hotel to the conference venue. 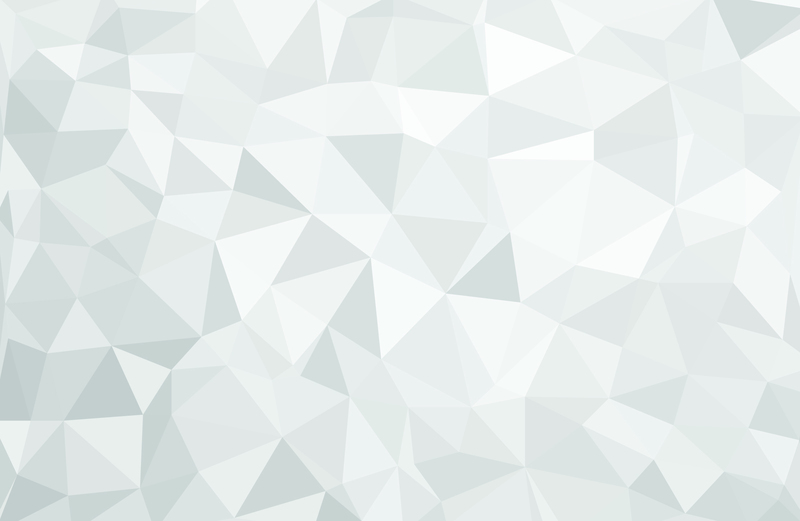 Click here for a list of airlines. St. Louis’ light rail public transportation system, the MetroLink, will take you directly from Lambert International Airport to Union Station. The total travel time is about 30 minutes and will cost $2.50 per person each way. For more information, please click here. Use your mobile device to hire a Lyft or Uber. These apps can be downloaded in the Apple App Store or Google Play Store. Cabs and taxis should be easily accessible from St. Louis Lambert International Airport in the designated Taxi Zones at each terminal. Each taxi will have an Airport Use Fee for $4.00 per pickup, and exact fares will depend on final destination and route traveled. Free shuttle service is provided 24/7 by all rental car companies to off-airport facilities. To see which rental companies are available, click here. Both self-parking and valet parking are available at St. Louis Union Station on a daily and overnight basis. Parking Fees at Union Station are $40.00 for Valet Parking and self-parking is $27.00 with in/out privileges. There are many public lots in Downtown St. Louis. See a full list of options along with pricing information here.